Going into my 5th consecutive Laramie Enduro, following the course markings was not at the top of my mental checklist. I don’t know the course like the back of my hand but all of the areas at least look familiar to me and I had never had an issue following the course markings in previous years. Maybe my two detours were the result of pushing harder than I ever have. I know that pace, hydration, calories, electrolytes, my line, etc. were constantly running through my brain so it is not like I was daydreaming out there. I recovered well from my first short detour off course but the second time I went off course it definitely affected me mentally. I knew that my goal was not going to happen this year. I am very disappointed to not achieve my personal goal of 6:29:59. However, I don’t want to be one of “those guys” that you hear after a race saying “dude, if I wouldn’t have (flatted, made a wrong turn, bonked, etc), I would have (insert ridiculous comment here). So that is all I am going to say about that except that I will be back next year. Momentum is huge and hindsight is always crystal clear. I was motoring for the first 16 miles before my first detour. I was at pointy end of the race and was feeling good…right on the fine edge of a sustainable pace and going a bit too hard. My split through Aid #2 was two minutes faster than last year, even with the first detour, and that gave me a mental boost and the drive to keep pushing hard. When the volunteer stopped me at the intersection after my second detour off course I was not a happy camper and dropped a few F’ bombs out loud to nobody in particular. This is where I should have taken a moment to regroup. Instead, I immediately spun it around and rode hard back to where I left the course so that I could complete the official course and get an official time. In hindsight, I should have slowed it down a bit and ridden conservatively back onto the course, onto to Aid #4, and then started my personal race again. I had my previous splits from Aid #4 to the Finish and I should have raced against those splits. Instead, I burned too many matches trying to get back on course and my hydration plan went out the window so I suffered like a dog in the middle for no good reason. I also let myself get a little down after the second detour and slowed down as a result. The Headquarters Climb was a small mental victory for me and I rode it well to finish on a positive note. Traveling with Travis, seeing Little TK, and hanging with Ed & Jenny were the highlights of my Laramie weekend. I am fortunate to have met some wonderful people through this sport and the memories that I retain are usually of the people and not of the race itself. Can I have a "Do Over"? - My goal of setting a PR did not happen. Finally met JennyJo in person and dinner with Ed, Jenny, Travis and Eban was a trip highlight for sure. 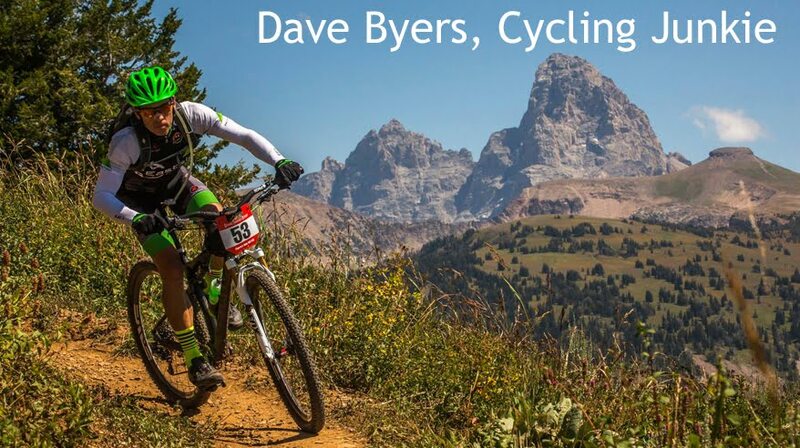 Tomorrow morning I will line up for the 2008 Laramie Enduro with a huge pack of twitchy cyclists. Hopefully Rock on Wheels will stick with tradition and AC/DC will be blaring from the speakers in the minutes before the gun goes off. At 7am I will launch forward with the thundering herd and do everything I can to lay down my fastest Enduro yet. All that is left now is to get a decent night of sleep. Best of luck to my stone cold homie JayP at the 24 Hour Solo Worlds this weekend. Rest. Go Hard. Rest more. I thought I was ready to rip only four days after the Park City Perfect 10 so I headed to my favorite paved climb last Wed for some L5 intervals of pain. Evidently my body didn't send the correct signals to my brain because I was clearly not recovered and I pulled the plug early. After a bit more rest and mellow riding I lined up a vigorous ride with JayP and TraceyP on Saturday in Jackson for 3+ hours of singletrack practice. JayP is riding really strong and I think he is ready to make some noise at the 24 Hour Solo Worlds this weekend. TraceyP is riding as strong as ever too and I can't keep her in sight on the descents! Sunday was another awesome day with Michelle. We headed up to the Ghee with our bikes, food, and camp chairs for an all-day outing. Lyle was great as usual and the event was well-done. Events at Targhee have such a great vibe and everyone always seems to be having fun. Living in a small town like Victor means that we don't have a lot of shopping options and this is a good thing. However, when we get to Park City we always hit up the Whole Foods store on our way out of town. This time, I discovered these little pieces of heaven. I have a chip problem. I can admit that. If I gave up chips I might just drop a few kilos and be "thin buff" like my buddy Tim Kelly. Tim, I might give up chips and the occasional beer between now and Laramie and unleash my own thin-buffness! I hadn't flatted in 3 years of racing my mtn bike with tubes and I typically run med-light tires like a Schwalbe Racing Ralph with Snake Skin sidewalls. This was my first race using Stans tubeless. After 4 successful laps on my "light wheels" (Arches with 2.25 Racing Ralphs & no Snake Skin sidewalls) I got nervous about flatting. People were flatting all around me. So before my 5th lap I switched over to my "heavy wheels" (Flows with 2.1 Bontrager Tubless Ready Xdx) and proceeded to flat on the next lap. Ha! Hindsight says I should have stuck with the Racing Ralphs until I had a reason to change but the rocks were like piranhas! I also learned that it is faster to just throw a tube in there rather than screw around with trying to get the hole to seal with the tubeless goo. Jay and I were not in the running for the top three but we didn't let off of the gas after our respective mechanicals and it worked out that I would do our final lap. After the 20+ minute climb there is gradual downhill through a big grassy meadow officially called Flagstaff Loop. I called this section "Big Ring Meadow". Halfway through "Big Ring Meadow" I see a blue jersey ahead and at the time I imagined that he was a duo male rider and therefore he had to be caught & passed. We were racing right? I caught him at the top of the long, steep descent but most of the descent is singletrack and passing is tricky. It is especially tricky if the rider in front doesn't want to be passed and is descending well himslef. Since this was my 8th lap I knew every corner and started to calculate my attack. The only option was a last-minute sprint out of the final corner where the track opens up just before the timing area. As I skidded through the final loose switchbacks, glued to his rear wheel, I dropped a couple of cogs in the back and stomped on it as I exited the final corner. I had to go into the grass on his left to pass but I just managed to get around him 10 feet before the line. Yeehaw! I had to throw on the brakes HARD once across the line to keep from wrecking into barriers and JayP (third pic down) caught it on film. Jay was cracking up when I crossed the line and relieved that I kept the rubber-side down during my silly glorious moment. I love racing in Park City! It was a last-minute decision to go down and race the Park City Perfect 10 but everything fell into place nicely. JayP and I teamed up for the duo male category and TraceyP raced solo. - JayP and I did 8 laps each, 16 total, and finished 6th or 7th in the duo male category. - TraceyP crushed it and took 2nd in the solo female category with 13 laps despite getting two flats and having drivetrain issues. She was only 30 min out of first. Although Jay and I were both treating this race as training, neither one of us were exactly “cruising” around the course. When I saw Jay take the lead in the run at the start and get to his bike first I knew his game face was on. In addition to doing the same number of laps, we each suffered one mechanical costing us similar chunks of time. Somewhere near the top of lap #5, Jay ripped the rear derailleur off of his Alma 29er and had to run the rest of the uphill sections and coast the downhills. Impressive. This was a 51 minute lap compared to his two previous sub-35 minute laps. Later, as I was riding our 10th lap, I flatted my front tire on a rocky downhill section and tried to get the Stans to fill the gash but eventually had to put a tube in to finish the lap. This was a 49 minute lap instead of a 37-38 minute lap. As usual, the people make these events memorable. My super-supportive & lovely wife decided to join me at the last minute and we had a great mini-getaway weekend including a fun Mid-Mountain Trail ride on Sunday. Although Michelle deserved a break from work as well, she dove right in and supported all of us at different times throughout the day. It was great sharing the pit with Jay, Tracey, and Rob. Seeing Lynda & Dave as well as Brad Mullen was a treat too. Lynda and I sat in the shade after an early lap and chatted about how fun it is to race duo and rest up in between laps while your respective partners are out there killing it. Ok, I know it took me way too long to get this bike built up. Yesterday afternoon was finally my first ride on the new Sultan and I still have perma-grin. I am really happy with the way the build turned out and very happy with the final weight: 26.4 lbs with the race wheels on. Not bad for 4" travel 29er. I will trim the brake lines a bit more and play with the bar height but I am very close with my initial measurements. The new Sultan is only .1 lbs heavier than my 26" Turner Flux, mostly due to the "every day" wheelset I have on the Flux. 4) Riding at a moderate pace, I turned out back to back laps as fast or faster than I did in the WYDAHO race on the 4th. Almost as exciting as the new bike was the new trail I rode yesterday. Targhee is building three lift-served downhill trails and the first one completed is the "beginner" trail. It just so happens that the beginner downhill trail is also an awesome xc trail if you ride it uphill. I didn't make it all the way up but I climbed steadily for 25 minutes and then turned around and ripped it downhill. Yeehaaw! This is going to be great trail to hone my singletrack skillz as it has a little of everything. Just don't ride it uphill if the lifts are running! Heading down to Park City this weekend for 10 hours of intermittent fun, speed, pain, and suffering...probably in that order. JayP and I are teaming up in the Park City Perfect 10. Talk about performance anxiety! Even though the WYDAHO XC Race was only five days after the Puff, I wanted to support the local race scene so I decided to ride it for fun this year. The legs actually didn't feel too bad and I finished about 7 minutes slower than last year when I gave it everything I had. This race is always a must-do; great course, tons of raffle prizes, and a fun post-race scene up at the Ghee. Saturday was a social 60-mile road bike ride with Michelle, Tina and some folks from Jackson. While Jackson is packed with tourists right now, we enjoyed empty roads, great views, and fun ride from Victor to Targhee and back. Sunday was a fun mtn bike with a twist. I borrowed JayP's 2008 Orbea Alma 29er for a test-drive on my home singletrack. What a hoot! I took it a little easy since this is Jay's primary race bike but I still got a taste of what this bike can do. I raised the seat 2cm, swapped Jay's 90mm stem for a 110mm, and added my Time pedals to dial it in a bit. With a setback seatpost this bike would fit me well. This bike really responds when you stand on the pedals while climbing and was more comfortable than I expected given my normal ride is a 4" full-suspension bike. Thanks Jay! #1) This just in, JayP is fast. And not only is he fast, his bike looks fast too. That Orbea Alma 29er carbon frame just screams speed and I am surprised you don’t see more of them being raced. In addition, he rode a WTB Vulpine semi-slick in the rear which is a testament to his bike handling on that course. - Mike Piker REALLY likes the Deschutes Brewery. I think we were 300 miles from Bend when Mike mentioned that we could make it in time for happy hour if I kept my foot in it. - Gabe’s bike is nicknamed “Fiddy”, as in 50 Cent. That Gabe, he is so gangsta’. - JayP doesn’t talk a lot of smack but when he does it is good. We were 10 hours into our marathon drive home when we stopped at a Subway for dinner-to-go. Jay went first and I followed him in the sandwich line where we both order turkey on wheat. At the register he leans over and says, “I see you copied what the 2nd place overall rider ordered for dinner.” Doh! #3) Climbing the 18-mile gravel section for the second time the sun, was baking us pretty good and when I rolled into the aid at the top I busted out with my best Nelly…sing it with me, “It’s getting’ hot in here, so take off all your clothes…”. I like to keep the aid volunteers smiling. #4) I learned a cool trick from Mike for bleeding my Magura brakes that I can’t wait to try out. #5) Executing the race plan and feeling good at the end was very satisfying and being able to share the whole experience and bike-geek out with JayP, Mike and Gabe for four days added to the whole experience. #6) Scott, the founder and promoter of the Cream Puff, has endless contagious energy. We had breakfast with Scott and his wife on our way out of town and I was ready to shoulder a chainsaw and start building trail right then. He has plans for a new race that would make the Cream Puff look like NORBA XC race. #7) Carbonation may be the key to settling my tummy immediately after races. Often I cannot eat for a while after I finish but at the Cream Puff I grabbed a Pepsi and chugged it. This was of course followed by several glorious belches that would make my mother cringe and my tummy was happy. I feel physically better immediately after this race than I have ever felt after a big one. Maybe it was the “recovery” food I ate; two cheese burgers, a Pepsi, a plate of chicken stir fry with peanut sauce, and a Dairy Queen Blizzard in the two hours following the race. Yeah, I mowed some food down. So why wasn’t my finishing time faster? The results have not been posted yet but I am guessing that my time will place me mid-pack of the finishers at best. About 30% of the field typically DNF this race. It was hot in the middle of the day so it would have been hard to stop at fewer aid stations for water. I keep coming back to the descents and the narrow rolling singletrack as my “weak link” in this race. I am really curious to see my time splits so I hope that Scott posts them eventually. The course had four main climbs on buffed gravel roads plus some shorter singletrack climbs mixed in. Every time the Earth tilted up, I felt good. I would guess that I went over the first climb in the front 20% of the race. It was on the initial descent of the Tie Mountain Trail that I lost the biggest chunk of time. It felt as if the entire race passed me. I crashed at least four times (all minor) and lost my nerve on the downhill switchbacks which left me crawling and skidding my way down the remaining singletrack to the next climb. Despite this, I was very positive and enjoying the gorgeous trail that was frustrating me at the same time. After rolling through the aid at the bottom we had an 18-mile gravel climb that we would do two laps on with more singletrack in between. The first time up, I passed a lot of riders who passed me on the singletrack and felt really good. The second time up it was getting hot but I was able to stay in the middle ring and pass even more riders. About 7 miles from the top there was another small aid station with a creek behind it and I jumped into the cold creek for a minute. This did wonders for my feet which were swelling in the heat and pretty tender at that point. In a sick way, I was looking forward to the last gravel climb because I was feeling relatively good and knew that I would pass a few more folks. Plus, as the race went on I was getting better in the singletrack and I wanted another shot at it to redeem myself. My final climb went well; I passed a few more folks, and stopped at the final aid station at the top to grab a flask of Hammer Gel and more water. As I stopped next to my cooler the aid station manager straddled my bike’s front wheel and I can tell he was evaluating my condition. They told us in the pre-race meeting that if they think you need it, they will sit you down for a minute…or ten. As I am swapping out my flasks and bottle he was asking me a few questions and I answered without stopping what I was doing. This took about 30 seconds. When I was done he was still straddling my front tire and holding my handlebars so I looked him straight in the eyes so he would know I was ok and said, “Rock on brotha’, I need to go. Thanks for the help today” and he smiled as he moved to the side to let me by. My best descending of the entire race was from mile 103 to mile 108. I was finally flowing a little although probably not all that fast. As I crossed the line, JayP, Mike Piker, and Gabe were there to greet me as they all had very solid races. Scott, the promoter, immediately shook my hand and handed me a “finisher’s cap” and I thanked him for putting on an awesome race. The Cream Puff will be one of my “must-do” races for the foreseeable future. Oregon is beautiful, Scott puts on a great race, and the riding is very different from what we have here which makes it more interesting.